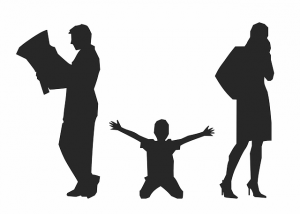 If you and your spouse have decided that you are going to get a divorce, but you do not know how to tell your children, it’s probably because it’s not a very easy thing to do. From the perspective of the child, the family unit is everything, and when that breaks apart, they are in a world of turmoil. It’s even worse when one parent, or even both, try to get the children to take sides. Children should never be placed in this situation. Unfortunately, it does happen and there are ways that you can tell your children initially what is going on and that you will soon be divorced from each other. The very first thing that you should do is have a meeting with your kids. This will include both of you. This is a meeting that should not have any information about specifically why you are getting a divorce, but they do need to have a reason. They may have already known that things were getting rough based upon arguments that may have been escalating. However, it still needs to be talked about in a specific way. By having this meeting where both of you expressed why it is that you are getting a divorce, and why this is better for the family, you can ease the tension in the household and also make the transition a little bit easier. There are a couple things that should never be said during this meeting. First and foremost, neither spouse is to place blame on the other. It needs to be a mutual decision, one that is expressed in a very logical manner, not one full of emotion. Second, the children should never be asked what they think about this from the perspective that one person is more right than the other. If they do ask questions, you can answer them, but try to do so as neutrally as possible so as to limit the pain-and-suffering that is to follow. These basic tips on how to tell your kids you are getting a divorce will make it easier on them. It simply a decision that is going to cause them a lot of pain. By doing this in the way that was described there should be a minimization of the initial pain that they feel once this is explained.